V12 Rhino Boot - Safety Footwear with Scuff Cap & Bellows Tongue. 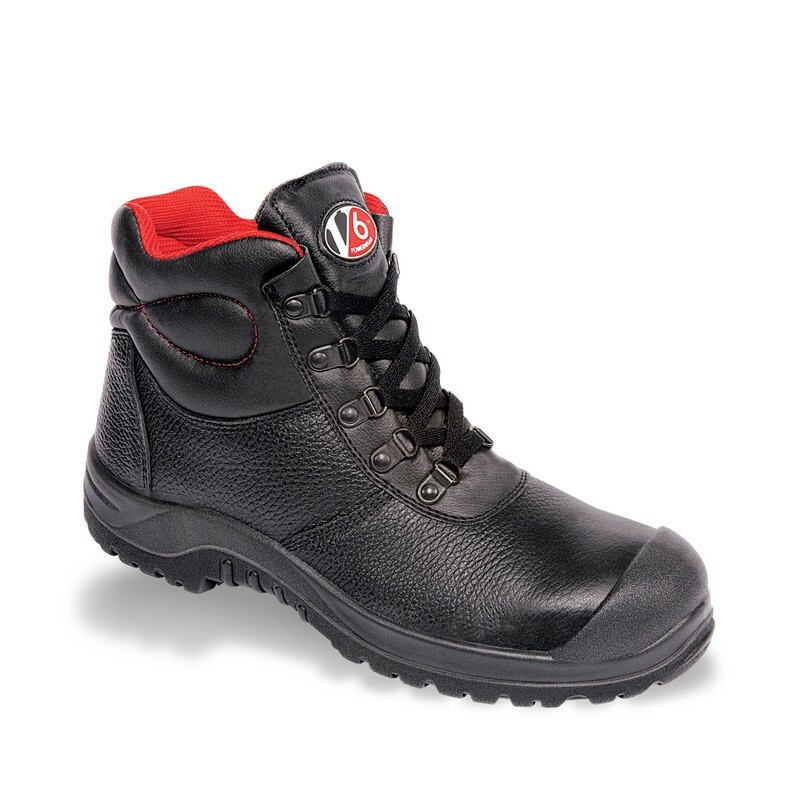 Like its name suggests the Rhino is a robust boot with a tough scuffcap and triple stitched stress points. A range of features include full bellows tongue, padded lining, full length footbed with double shock absorber pods, ergonomic scooped collar and composite toepcap. The Rhino provides day long comfort for thousands of satisfied customers. Grain buffalo hide upper - water resistant, durable and breathable. Quality entry level D ring boot. Moisture wicking padded lining - cooler in the summer warmer in the winter. Heat resistant to approximately 150°c. Ladder grips, raised toe guard and defined heel.